I don’t know about you, but I am busy making things for the holidays. I am working on small gifts for co-workers and friends, craft fair projects, decorations, and of course, gifts for family members. I love being creative, and I love making things to bless people. Yesterday afternoon, I made 36 key fobs for friends at work, at art class, and at bible study. I love projects like this — this project is quick, easy, and a total scrap buster. I basically, kinda, sorta followed the directions at the Pellon project site if you want to know how I made them. Another scrap buster I recently designed and made was this mug rug. I thought I would share it with you in case you would like to make one (or a few) for the holidays. You need to know how to paper piece simple designs. I am not covering that here. 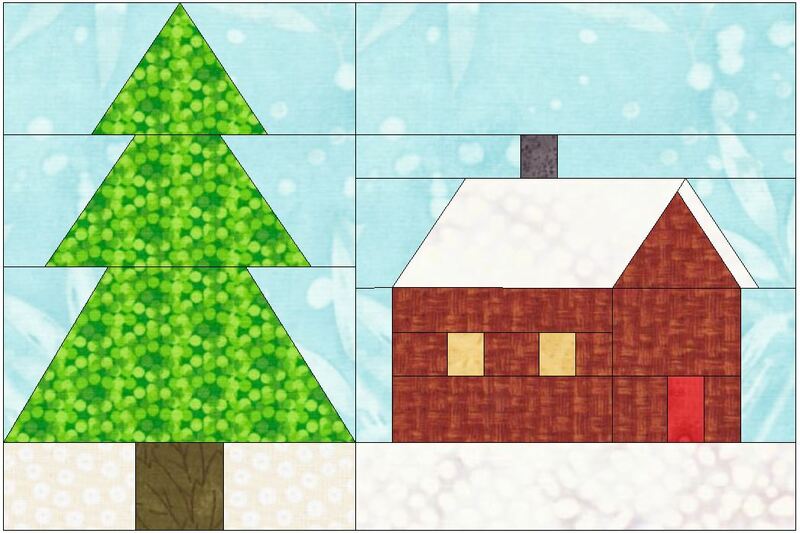 But if you would like the pattern,click here for link to the house, and click here for link to the tree. It finishes at 6″ x 9″. Here is one I threw together in August for a benefit craft fair. You can see that when I made mine I forgot to print the house pattern as a mirror image, so my house ended up facing the other way (oops!). Not a big deal if you ask me. But if you would also like your house facing the other direction, you can find that pattern here. 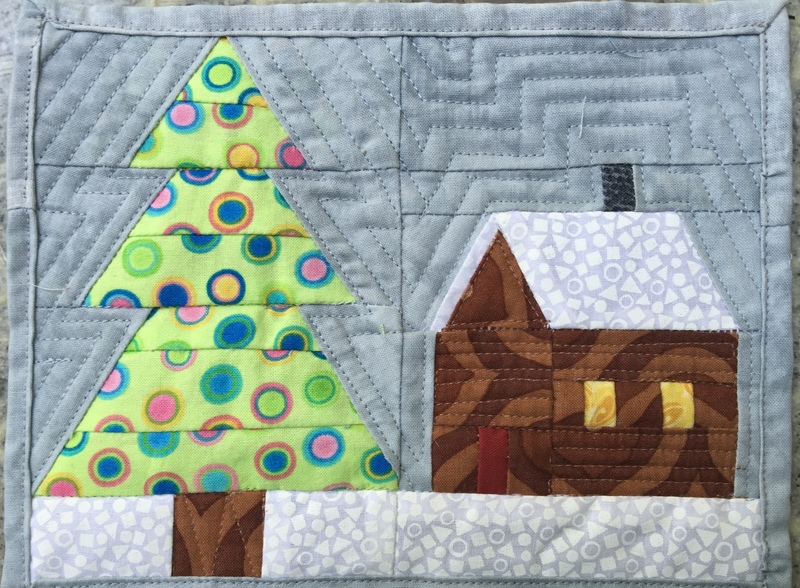 This entry was posted in Quilting/Sewing and tagged free, holiday, holidays, house, key fob, mug rug, paper piece, scrap buster, scrappy, tree by monkeyneedle. Bookmark the permalink. 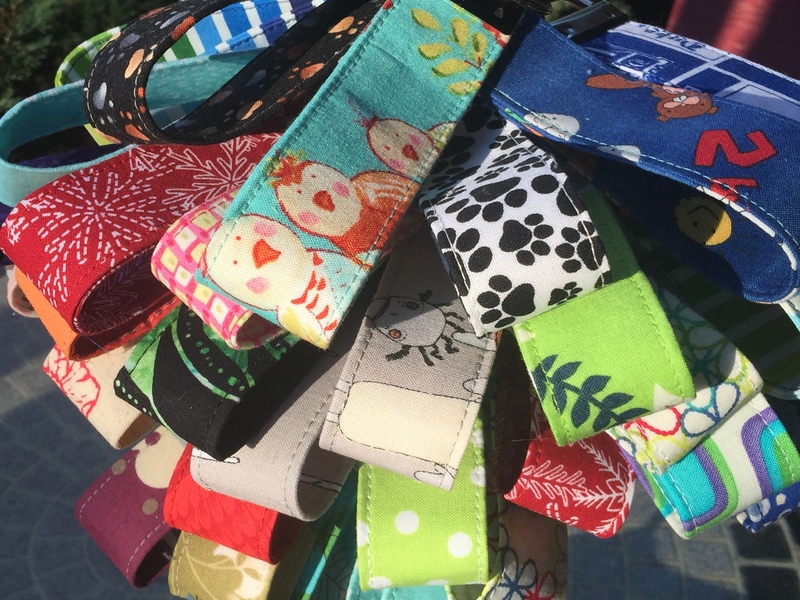 You have really been busy with all the fobs and what a cute mug rug pattern! Thank-you for the pattern for a great mug rug.